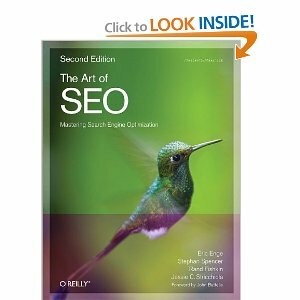 10 Best SEO Book, No introduction, I really mean it!. 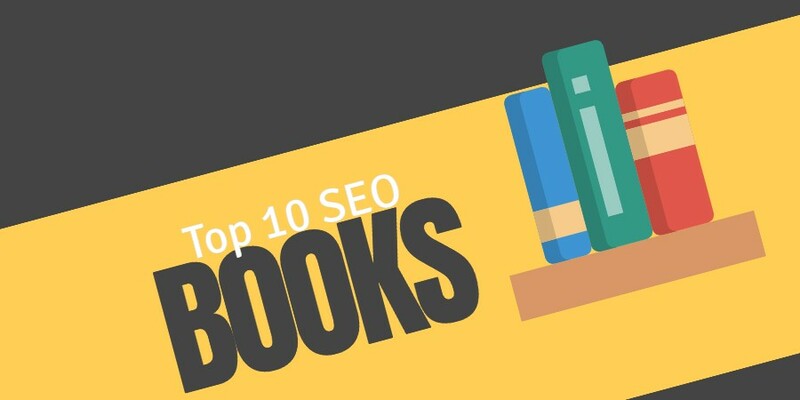 These are the best books I have ever read on seo, some of them are in paperback format and some of them have taken the new format – kindle, These books are not arranged in any format. But definitely add value in your knowledge and will help you to scale new heights in your niche whether you are a small time blogger like me or a search engine optimizer in a big seo company or a business owner , who just want to promote his product or want to keep an eye on his/her search engine optimization company. I think, I should not introduce rand fiskin and this book to you. If you are in this business anyhow, then I am 200% sure, you knew something about Rand Fiskin and SEO Moz. This book is written by the same rand friskin who had more than 200000 fans on facebook and more than that loyal reader of his blog. 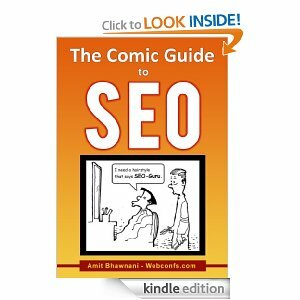 The book contains everything you want to know about seo from anchor text to URL to meta tag to redirection. 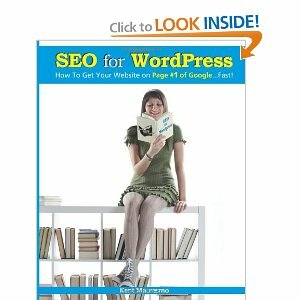 Bottom Line: impatient readers are advised not to purchase this book at all, instead of that they re-phrase their query to find out handouts on search engine optimization. The reason behind this advice is this book will start from the basic and will guide you the advance level step by step. Search Engine Optimization Strategies for Dominating Google, has been completely updates for 2013 and beyond. Google Penguin and Google Panda, Exact Match Domains, and the latest Google algorithm updates have been included. 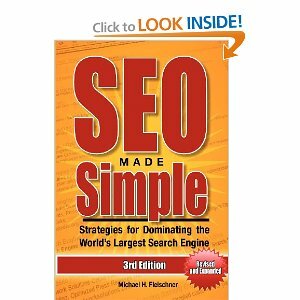 SEO Made Simple is today’s top-selling search engine optimization guide for good reason. Learn from leading Webmaster Michael H. Fleischner the specific SEO techniques that deliver top rankings in less than 30 days. Whether you’re a search engine optimization expert or new to website rankings, the techniques revealed in SEO Made Simple will give you everything you need to dominate Google and other leading search engines. Generate tons of traffic to your website absolutely FREE with top search engine placement on Google, Yahoo! and Bing. SEO Made Simple has helped more individuals than another other search engine optimization guide ever printed to achieve top rankings for even the most competitive keywords. This guide has been updated with the latest SEO advice on social media, Google Places, and even a step-by-step link building process that has already produced top results for some of the most sought after keywords. If you are looking for a guide that provides the information you need to achieve top rankings, without all of the useless fluff, this is it. SEO Made Simple is the only resource on search engine optimization that you’ll ever need. Learn the techniques that have a direct and significant impact on your website’s ranking. This book is ranked #1 for a reason. Read our reviews and see for yourself why SEO Made Simple is your most important resource for acquiring top search engine rankings. When I launched my first wordpress website back in 2010. Only I knew , how much it was difficult for me to understand the terminology of SEO and how to implement all that SEO theory in my newly installed wordpress based blog. Even at that time every second blogger was trying to teach me SEO and now you can imagine, How much it was difficult to precipitate the actual content/guidelines. Right now, there is a huge debate is going on the internet which is better for WordPress SEO, a theme, a plugin like SEOPressor or Yoast SEO. I am sure this book can give you that definite advantage to decide what is the best practices in the industry and how you can mint them using your wordpress based site. 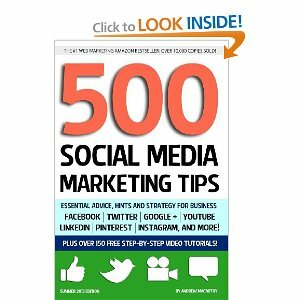 The best part of this book is – It is written by a blogger and social media strategist. Only a blogger can understand how much it is difficult for him/her to manage social media all the time. Besides that how effectively he can bring lots of targeted traffic to your site. Sorry dear, if you do not know who is Guy Kawasaki, then please , do not read next paragraph and even do not think to purchase this book at all. 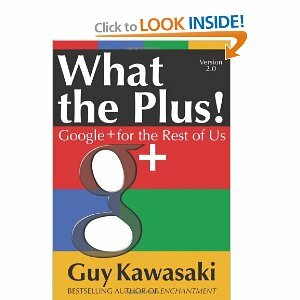 All your famous bloggers like Neil Patel, Bryan Clark, Darren Rowse are following this Guy Kawasaki on the social media. Guy Kawasaki is the former Chief Evangelist of Apple and cofounder of Alltop.com. He is the author of 11 other books, including Enchantment, Reality Check, The Art of the Start, Rules for Revolutionaries, How to Drive Your Competition Crazy, and The Macintosh Way. 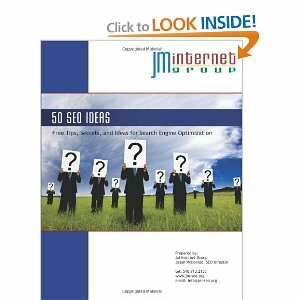 This book takes a really fun approach to a somewhat boring or dry topic of SEO. It gets the topics covered with a lot of straight forward information and with enough humorous graphics that the topics and explanations of how SEO works are very easily remembered. I found myself laughing out loud on numerous occasions and then pondering the meaning of things I had read, then realized, I had actually learned a little something new in the process. NICE!!!! If you are starting an online business, or if you are a seasoned veteran like me, you owe it to yourself to pick up a copy of this ebook. You’ll laugh, cry, and learn a ton about this very confusing topic in a short amount of time. More importantly, you’ll retain the information because the images make it so memorable. Jason McDonald is an expert on SEO, Social Media Marketing, and Google AdWords. He has been active on the Internet since 1994 and teaching SEO, AdWords, and Social Media since 2009 — online, in San Francisco, at Stanford University Continuing Studies, at workshops, and in corporate trainings. More than 1,300 people have taken his paid trainings; over 14,000 have taken his free webinars on Google / SEO. Jason loves figuring out how things work, and he loves teaching others! You can find out more about him at jasonmcdonald.org. Google released its Panda upate in February of 2011. After that a lots had been changed in this highly competitive world of seo. Google had sent a lots of “ Panda attacks” to kill of listings that offers low quality contents and doe not abide by its webmasters Guidelines. Besides Google panda “Penguin” has the same kind of fear in all the webmaster’s mind. The main target of google penguin was those sites who employeed all that methods by which a site can rank higher in search engine results. The book weaves together all of the complex components required to successfully SEO a site in 2013 while also providing you with real industry secrets & tips that you can implement to rank higher then your competition. 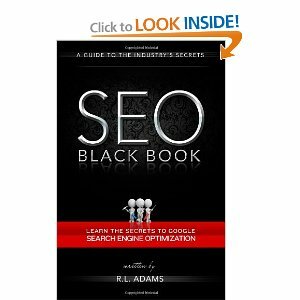 The practical methods, tools, and techniques covered in The SEO Black Book stem, according to its author is based on his decade long knowledge involving research and work in the field of search engine optimization. Don’t fall victim to the industry pitfalls. Without the right knowledge, information and tools you will be risking a slow and painful climb up the SEO ladder. The SEO Black Book teaches you what it takes to successfully rank your site today. Why Local SEO on this List? Well the reason behind is- All the website’s target audience is not global like Plumbers, Divorce Lawyer, Debt Lawyer and Green Energy Generators, Restaurants. These type of business needs Local Search engine optimization. Showing up on the first page is critical for this type of business success. Search engine optimization, which gets you there, is often complex and confusing. immediate results – even if you haven’t created a website. It’s the perfect solution for you if you are a busy marketers, business owners who want to grow your business. 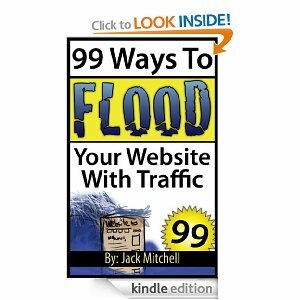 If you have ever wanted a complete list of every traffic strategy you need to get massive amounts of website traffic, 99 Ways To Flood Your Website With Traffic is the book for you. 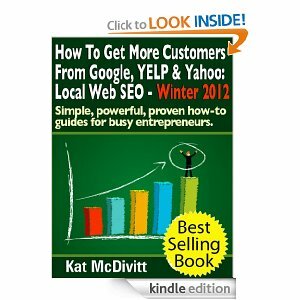 This book goes through 99 different strategies and tactics for getting visitors to your website or blog. There are 77 completely free strategies, and 22 paid traffic strategies. Not only do you get to hear about specific websites and strategies, but you also learn how to combine certain strategies to maximize your results. When you start to put everything together into one big super traffic strategy, you are able to drive traffic to your site(s) whenever you want. 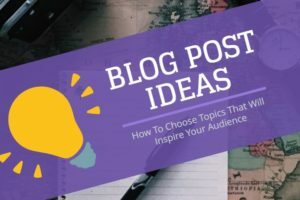 This was written to give you an overview of the different types of strategies that work well, and focuses more on coming up with the best strategy for your blog, and not just what worked on one guy’s blog years ago. Most of these strategies are core tactics that can be used for years to come. This book was built for you to be able to pick and choose your favorite strategies, come up with your own “super list”, and start implementing these strategies starting immediately. You will go from A to Z with all the types of traffic strategies that work online, and this book takes you through the steps to taking action. Oh yeah, besides the 99 traffic strategies, we have included two free bonus “pocket guides” – one guide for buying traffic (and services to stay away from), and one guide for monetizing your website traffic. This is only a sincere effort to collect the 10 best seo books to cater the requirement of every type of seo. Hope you have enjoyed reading this list. If you think or have any such book which needs a place in this list, kindly inform me dropping your comment. You can also share this list on social sites to show your love and affection.